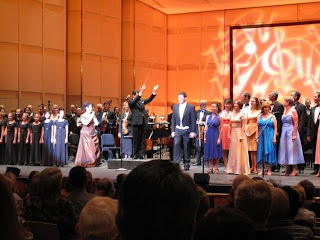 This past weekend soprano Jenn Raithel Newman, who happens to be the wife of yours truly, returned to her native Arizona to sing in a celebration of Rodgers and Hammerstein with the Phoenix Symphony. 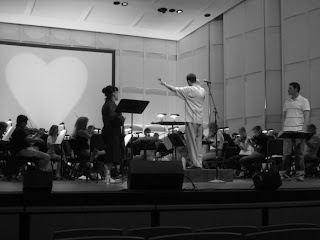 Jenn was the feature of a recent article in the Arizona Republic: "Native Daughter to sing with Phoenix Symphony." 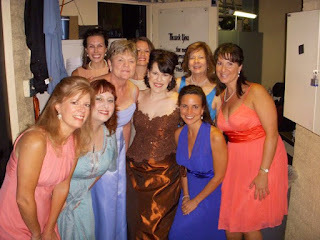 In addition to Jenn, the concerts featured baritone Sean Carter Campbell, members of the Phoenix Symphony Chorus and the Phoenix Children's Chorus singing numbers from such shows as Oklahoma!, South Pacific, The King and I and The Sound of Music. Jenn had a fantastic time with old friends and colleagues with whom she has worked many times. Here are some pictures from the event.